Edgar Allan Poe was right when he emphasised unity in a short poem; he was also right to emphasise it in his fiction: almost everything he wrote in a particular tale was calculated towards a single effect or mood. And we see this continue in the shorter weird tale, particularly in the field of weird fiction. One fine example of unity at its best is Stephen King's "The Body." There, the effect strived for a deep poignancy of feeling at the loss of innocence and childhood. 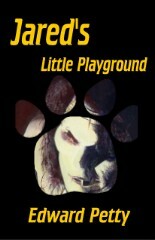 This same novella forms the inspiration, and analogue, for Edward Petty's Jared's Little Playground. 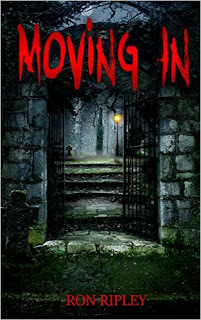 For the most part, this novella focuses upon the friends and family of Billy, leading into a fateful woodland encounter. The other main figure, Jared Underwood, appears through the novella in fits and spurts, and his final appearances reveal the true import of the title. It is, in a sense, more ambitious. It tries to tie in that same loss of innocence and childhood with a tale of insanity and violence. Yet, in dealing with a psycopathic antagonist, Petty has fallen back on what is now a tired and hackneyed trope of contemporary weird fiction. This is very unlike "The Body." There, the nemesis of the protagonist is a teen, slightly older than himself, and the central death is the result not of madness but an accident. "The Body," as a result of this, and other factors, remains a much more original story, and closer to mainstream fiction than strict genre. Yet, unlike "The Body," Jared's Little Playground has a number of serious flaws that detract from it. In the first place, there is a serious lack of unity of emotion. The bulk is concerned with the friends and family, and there is no real emotional build-up, and no development of tension towards the story's climax. As a result, the bulk reads like a flat, unengaging catalogue of events and song titles, and there is no real sense of place, the Maine of the early sixties, or charcter, be it Billy or the others. Even Jared reads as a cipher, a blank slate, rather than as a menace and true foe. In addition, the style, whilst attempting to capture the ease with which King writes, tends to become disjointed and stilted. There is no real flow between paragraphs, so that the flow of events and feelings becomes staccato. Further, the writing also needs a modicum of more effective editing, to iron out stylistic wrinkles and infelicities. As a result, the characterisation suffers. This is important in the climactic scenes, where the lack of emotional identification with the victims reduces the impact of their fate. As a result, I feel that the horrific events, whilst intended, perhaps, to be sudden and shocking, merely remain little more than an exercise in writing and bloodletting. Overall, then, while this has some potential, both as an analogue of, and reaction to, The Body, as a story it is by no means as effective and skillful as it could be. It remains a disappointment, one that, given time, more practice, and closer attention to the demands of the author's chosen genre and form, should be seen less as indicative of the author at his most typical, than at a low ebb. This is not a good place to start; it is to be hoped that Mr. Petty can, over time, transcend the flaws, and look towards a better, more effective career as a writer of weird fiction.